This colorful, compact, single ball bowling bag is exactly the thing you need to make transporting your bowling ball simple and convenient. The bag's clear top allows you to see the contents of the bag while it remains closed. Every bag tested to withstand over 200 lbs. of force! 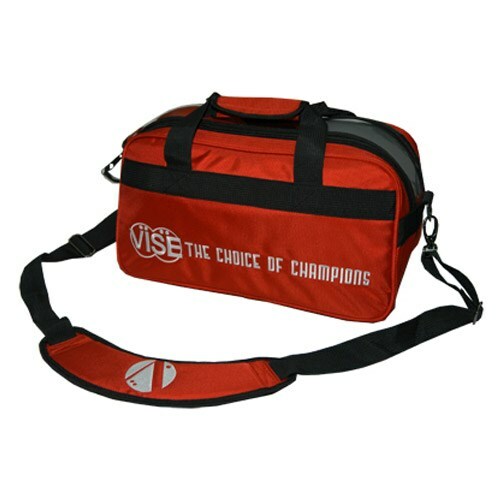 Due to the time it takes to produce the VISE 2 Ball "Clear Top" Tote Red ball it will ship in immediately. We cannot ship this ball outside the United States.